The information on this page about the equipment being used is arranged mostly in chronological order with the oldest information at the bottom of the page and the newest at the top. Canon 7D - From February, 2010: I moved from the Canon 40D to the 50D in October, 2008. It was a really excellent camera offering improvements over the 40D. Normally, I upgrade to the newest camera as soon as it comes out. I delayed quite awhile when the 7D came out because I didn't like the price jump and didn't feel I would use the video capabilities (which I haven't). But the other features and reviews finally got me to get one in February, 2010. Now, I'm sorry I waited so long. The feature dropped from the 50D the bothered me the most was the DEP setting which adjusted the aperture for a good depth of field covering all subjects was bothersome because I used to use that a good bit. Aside from that, the new features are just great! Particularly impressive is the 8 frames-per-second shooting which will handle a burst of nearly 100 photos when shooting highest quality JPG images. The 18 megapixel sensor gives the advantage that even if a subject is distant, a lot of cropping can be done and still leave a reasonable size image - especially for presentation on a website. Hi-Rez Panoramas: In May of 2009 I also added a Canon SX110 IS and a GigaPan Epic 100. These were added to work together to produce huge, high definition panoramas. 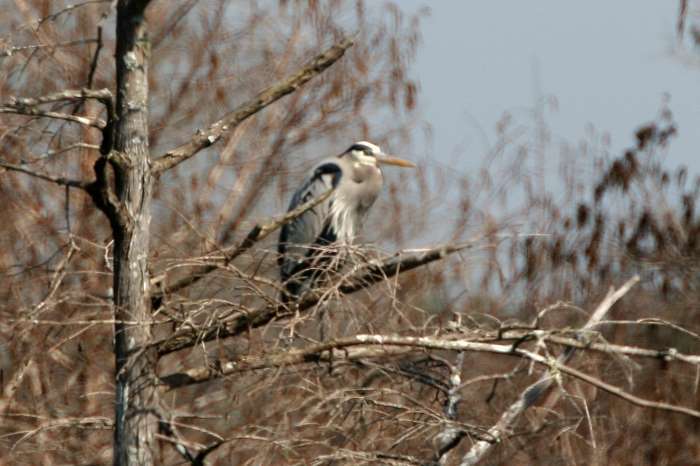 For examples, please see http://www.toledo-bend.com/general/index.asp?request=gigabend. I chose the Canon SX110 IS for the extremely good pictures it takes combined with a 10X zoom - giving the equivalent of 360mm maximum. The GigaPan unit is, essentially, a robotic device that allows mounting of a camera. The unit is then programmed to move to a series of positions in x number of rows and columns. At each position stop, the unit fires the camera to take a picture. The camera is zoomed to its maximum. After shooting this series of shots (often in the hundreds) the images are stitched together using the GigaPan stitcher. The resulting image may well be in the multi-gigapixel range! Lens Repairs: I've had really good luck with my lenses - I've only had one break down! One of my favorite lenses is my Sigma 28-105mm f2.8-4. It is so versatile! It is no longer made and almost impossible to find a used one. Sigma told me they could no longer repair it - which I thought to be very low on the customer service scale. However, I did find a repair company that quickly repaired the lens and got it back to me working flawlessly. If you need repairs, you may want to consider United Camera (http://www.UnitedCamera.com). I was very unhappy with their communication - it's impossible to get anything answered by them from email and even by phone, answers are ambiguous and vague. However, their price was good and their work was excellent. While I have used Canon cameras exclusively for a long time, their point-and-shoot cameras just don't seem to be keeping up to the competition. I replaced my secondary Powershot A540 with this Sony Cybershot DSC-T100 as my secondary camera. I use this camera when I'm working with a larger lens in the field. It's great for shots I can't get with the EOS 40D - or can't get without carrying additional lenses and a lot of hassle. Extreme close-ups of very small items (e.g. a tiny flower) are shot with this camera. Also, occasionally, things such as a shot of a plant when it isn't convenient or possible to get enough distance between myself and the plant to get a good shot with the 40D. It's also nice to have a camera around from time to time that will take a nice movie - and this one will just keep shooting until the 4 GB memory card is full. -June, 2010 - Still using this great little camera. It is invaluable for some close ups and macro shots! The downside on this camera is the proprietary batteries. They are rechargeable, but one must have two of them (for when one goes dead - to keep shooting). These babies are $50 each! Ridiculous! Aside from that, it is a really fantastic camera with a serious optical zoom and produces really great pictures - detail and color - with its 8 Megapixels. Canon 70-300mm f4-5.6L IS USM Zoom: While not rated as a "macro" lens, this will get just as close as the Sigma 70-300mm f4-5.6 Macro Zoom - with a lot of advantages! I put off getting this lens for quite awhile because of the hefty $1,600. price tag... plus the tripod mount and filters. After missing some shots with the Sigma, I got this lens in July, 2011. WOW! I got shots I could never have gotten before in marginal light because of the stabilization with this lens. Sigma makes a stabilized lens, too - but not in a macro version, so you can't get nearly as close to the subject. Canon 70-300 f4-5.6L IS USM with third party tripod ring and mounting plate for quick release. Now, the Sigma lens is in the $300. class so one can't really expect it to compare with this lens - though it does a great job at its price point. Aside from image stabilization, the big drawback on the Sigma is that you can do macro only in the 200mm-300mm range and after flipping a switch; the Canon lens gets in just as close (39") throughout the 70-300mm range and no switches to flip. This Canon lens is significantly heavier than the Sigma and really needs a tripod ring for mounting (as in the picture). Canon gets nearly $200 for their tripod ring, if you can find one. On eBay I found a third party offering a tripod ring for just over $40 from China. That's what I got; I'll warn you against it. Now, it does work. 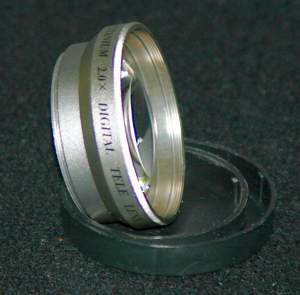 It's a good heavy duty metal ring and is a Canon "C" adapter copy. What you find out after ordering and receiving this particular adapter ring is that you must force it (and I do mean FORCE!) to make it fit. Once you've gotten it fitted and set up, it can be loosened and easily worked with; the ring holds the new shape and doesn't seem to be under any bind or stress. The force seems to bend the hinge a bit. So, any third party Canon "C" adapter should work, provided it is well made metal and can stand that forcing one time. Since the hinge pin is hollow, I put a couple of bent wires through it as "insurance" against future failure of the hinge pin; a failure elsewhere in the ring will be a BIG problem, though. These Canon "C" third party adapters are available under $20. on eBay and should work for you... just have a caution with them and don't buy the same thing for $40! Opteka 650-1300 f8-16 Telephoto Zoom - Click Here for review - Just added this lens in April, 2011 and not certain how much it will get used - but it is an excellent 'value lens'. Sigma f2.8 120mm-300mm Zoom: I use this lens attached to a Kenko Teleplus Pro 2X Teleconverter most of the time. Usually this is used for pictures of birds. With the Canon 30D lens conversion factor of 1.6X, this gives and effective 960mm lens capability. I have used the lens with a stacked 3X and 2X teleconverter giving an effective 2880mm lens! This makes for a very slow shooting time and needs a super steady tripod. The picture is a little soft, as well. But, a nice picture can be had... see the picture below as an example. 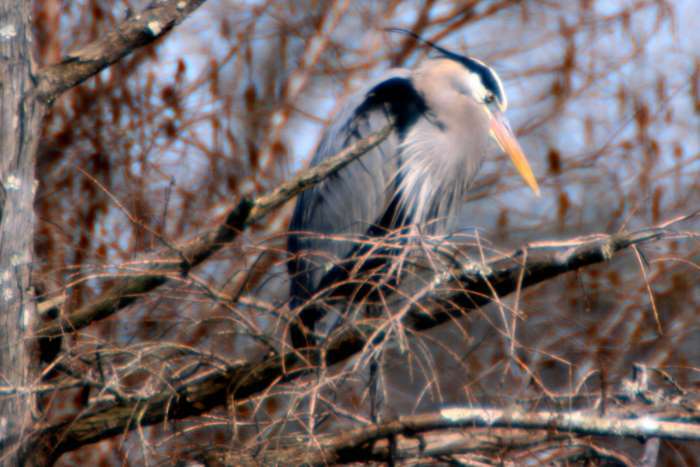 This Great Blue Heron was really a LONG ways off! Sigma f4-5.6 70mm-300mm Macro Zoom: This lens is primarily used for wildflower and bug shots in the field. It's an excellent lens with a lot of power but a small size and easy to carry on the camera and use in almost any situation. Shown with rubber lens hood. Sigma f2.8 70mm-200mm Zoom: I got this lens along with a Sigma 2X Teleconverter so it could be used either as it's native f2.8 70-200 zoom range or, with the teleconverter as f5.6 140-400 zoom. It is an excellent lens and takes excellent shots. However, it hasn't proven very practical for me as i do better for macro zoom shots of flowers, bugs, etc. with the Sigma 70-300mm (above). However, in taking it to a basketball game to shoot pictures of a friend's daughter who is a cheerleader, it proved its worth! This is a great lens for sports venues as it is fast (f2.8) and has a lot of zoom power and the teleconverter isn't needed. In my opinion, it would be the perfect lens for shooting most sporting events. Tamron f3.5-5.6 24mm-135mm Zoom: When my Sigma 28-105 wasn't working and while searching for someone to repair it and during the repair process, I needed something else to fill the gap. I tried finding another Sigma 28-105, as it is a favorite for me (in the f2.8-4 version - the slower versions are pretty easily available). I ended up getting this Tamron as a used lens at a good price - this model is also discontinued. This lens produces tack-sharp pictures and I found I really appreciated the additional range of 24-135 vs. 28-105. I didn't like the fact that it is slower (f3.5-5.6 vs f2.8-4), but the additional range made up for that. 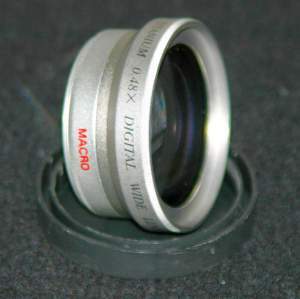 It is also excellent for macro shots as it lets you get very close to the subject. Sigma f2.8-4 28mm-105mm Zoom: This is the only lens I use for aerial shots. I've found that at about 900 feet above ground this lens zooms just right from 28mm for a wide area shot to 105mm for a close in shot - so I can get the shots I want with a single pass from a single altitude. 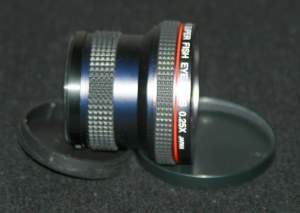 I also occasionally use this lens for macro shots, too - sometimes with extension tubes. It's a nice lens for any general shots, too. 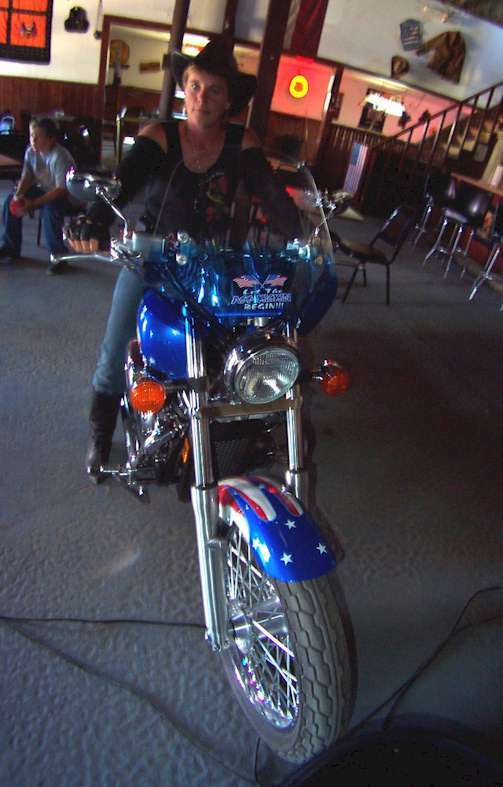 Shown with rubber lens hood. Sigma f2.8-4 17mm-35mm Zoom: This wide angle lens is excellent for landscapes and sunsets. It lets the DSLR get pretty wide - and wide angle shots are difficult with the lens conversion factor of 1.5 - 1.6 in most DSLRs due to the size of the image sensor. 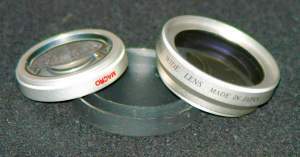 This lens typically solves the problem - with no noticeable distortion! Sigma f4-5.6 10mm-20mm Zoom: Now, this lens does a really W I D E shot! I use this frequently when shooting interiors of rooms for use on websites I do for accommodations around the lake. It's great for a really wide landscape shot, too. Almost no distortion with this lens. Sigma f4 8mm Fisheye: This lens gets some really interesting shots. Very few shots from this lens are on the Webmaster's Gallery site, but I do use it to shoot virtual tours for area real estate agencies and it enables putting together a series of six shots into a 360 degree "bubble" shot that allows the viewer to look up, down,a nd all around. This is a fun lens for many different kinds of shots! Available free with Lexar Professional 4GB 133x Write Acceleration CompactFlash cards - and possibly other cards as well. WOW! Recovers images from card without problems! I tried it on a 4GB card I have been using for quite some time. It recovered 1394 images (3.75 GB) from the card when I did not specify anything but to recover images. It did incorrectly identify RAW images as TIFF, but when I changed the extension form .TIF to .CR2, the image software recognized them and they were good and complete RAW images. I didn't check every image, of course. In spot checking the images, all were perfect. I've lost some images in the past - I won't in the future with this software. After testing as above, I tried the same thing with a card that had been formatted in the camera. Same great results. When I got the 40D, it replaced both my Canon EOS 30D and the Canon Rebel XTi. This is a fantastic camera! It shoots nearly 7 frames per second and just keeps on shooting in burst mode! I have gotten up to 60 shots (and the camera never stopped or slowed down and could have shot more) in a burst of 6.5 frames per second - using the highest quality JPG images. This is a 10 Megapixel camera and produces truly excellent photos - a big step up from either the 30D or XTi. 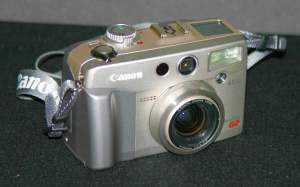 I use the Canon EOS 30D SLR (Single Lens Reflex) camera. It is an 8 megapixel camera that will shoot as fast as 5 frames per second! I love it! I got the Canon Powershot A540 (top - right) as a secondary camera. The first thing I did was get the Extension Tube and a UV Filter to add to the front to protect the lens when the camera is turned on and to keep it clean. With the tube in place, I'm also ready to use the Wide Angle / Macro Adapter Lenses (bottom - right). Only the Macro is actually used, though - wide angle shots are always with the Canon 30D. I use this camera when I'm working with a larger lens in the field. It's great for shots I can't get with the EOS 30D - or can't get without carrying additional lenses and a lot of hassle. Extreme close-ups of very small items (e.g. a tiny flower) are shot with this camera. Also, occasionally, things such as a shot of a plant when it isn't convenient or possible to get enough distance between myself and the plant to get a good shot with the 30D. It's also nice to have a camera around from time to time that will take a nice movie - and this one can get about 30 minutes on the 1 Gigabyte memory card I use with it. I switched to the 8 megapixel Canon EOS 20D (when it came out on the market). Along with the SLR, I use a number of lenses including: Sigma 8mm fisheye, Sigma 17-35mm apochromatic wide angle zoom, Sigma 28-105mm macro zoom, Sigma 75-300mm macro zoom, Sigma 120-300 f2.8 telephoto zoom, Hartblei 85mm tilt/shift. Additionally I use 2x and 3x teleconverters to enhance the power of the Sigma 120-300 telephoto lens and various extension tubes to enhance the macro capabilities of the 28-105 and 75-300 lenses. 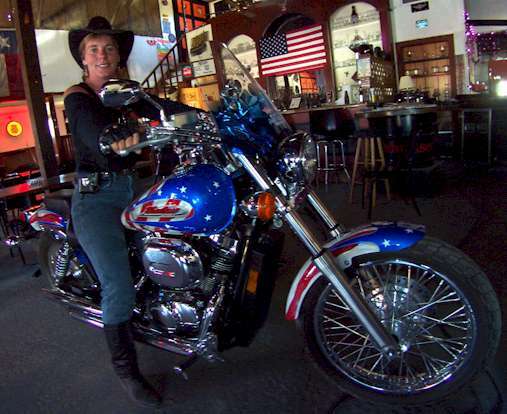 I started using a Canon EOS 10D - a single lens reflex digital camera with 6 megapixels. 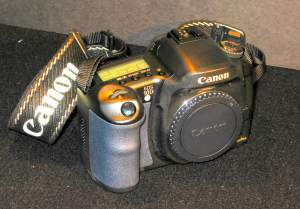 I have just purchased the new Canon EOS 10D - a digital single lens reflex camera and am starting to use it on this site. 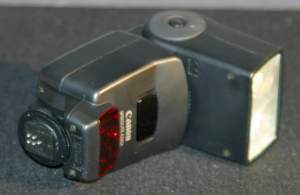 This is a 6 megapixel camera and, for all intents and purposes, is the same as a 35MM camera. For distance shots, there is a big advantage in that the effective length of all lenses is multiplied by 1.6 - so a 100mm lens effectively becomes a 160mm lens as soon as it is attached to this camera. Of course, this is a big drawback for taking wide angle shots. I'm expecting that this camera will gradually replace the Canon Powershot G2... but maybe not completely. This is a far larger and heavier camera and, since you must focus through the eyepiece, it can't be held up and away from oneself for taking pictures at odd angles. The G2 can be aimed through the LCD screen and the screen can be opened, turned, and moved so you can see it from almost any position. Some of the "bug" pictures require holding the camera at angles and in places that will likely prove impossible with the 10D. Almost all photos were taken with a Canon Powershot G2. In addition to the camera, several accessories are used. 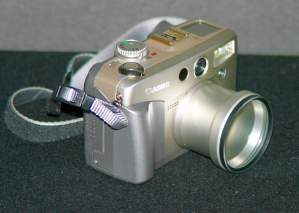 The G2 is a 4 megapixel camera. It has been superseded by the G6 and G6. All are excellent cameras! Even though I have discontinued use of this camera, I keep the following information I put on about it because these point and shoot cameras have such versatility and capability with a few accessories and I feel this information may be helpful to others. I always keep the tube adapter on the camera with a UV filter attached. 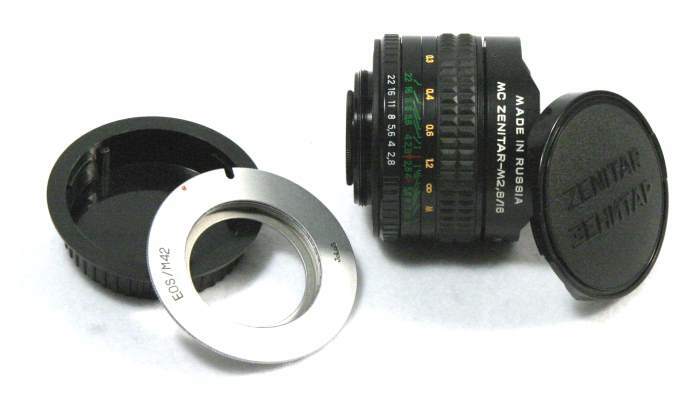 The UV filter keeps the lens clean and protected and the tube adapter provides protection for the zoom lens unit. I fell with a previous camera while it was on and the zoom lens extended - causing extensive damage to the zoom lens. Had there been a tube adapter on it, the camera would have been saved! It only took one instance to learn my lesson on this. The Tube Adapter allows quick, easy attachment of the accessory lenses shown to the camera for special work. The macro portion of the wide angle lens shown above is probably my most important single accessory - especially for the bug and flower shots in the Webmaster's Gallery. This allows some really close and magnified work (in combination with the zoom of the G2 lens itself). The close-ups of some of the really small bugs would have been impossible without it. I have found that this macro lens also works quite nicely with 35mm lenses - as mentioned below for my new camera. The biggest drawback with the attached macro lens is that you must find the exact distance from the subject to position your camera so it will focus sharply. For slightly larger subjects, I use the camera and its zoom lens and set it for macro mode focusing and can get close enough to get a sharp picture without accessories. The wide angle lens used as a complete unit allows a little extra width for shooting in a close spot, such as a room interior, where I wish to capture as much as possible of the room. There isn't too much distortion with this particular wide angle accessory and it is easily corrected with PhotoImpact photo processing software (and other similar packages). 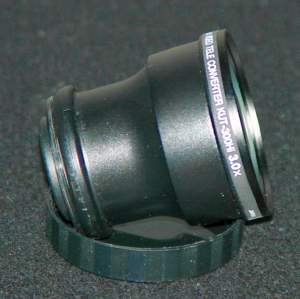 If I need a really wide angle shot, of I want a whole new perspective, I use the extreme wide angle lens pictured below. It causes a lot of distortion, but it is still pretty well corrected with image processing software. When the zoom on the camera isn't quite enough, I attach a teleconverter to double or triple the lens power. I have found the 2X (double) teleconverter works quite nicely and produces good pictures. The 3X (triple) teleconverter reduces the sharpness of the picture a lot and any camera shake at all will show up quickly in a blurred image. I have never found it very useful. With my Powershot G2 I used the Canon Speedlite 420EX when the flash on the camera wasn't quite enough. The Speedlite powers the flash out significantly further. If I had it to do over, I would have purchased the much more powerful Speedlite 550EX to start with. I did get the 550EX when I got the new EOS 10D. 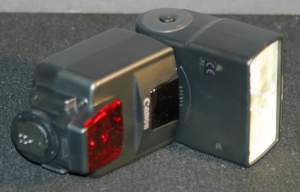 The two flash units can "talk" to one another and to either of the cameras and work together to provide extra dimension and coverage for flash pictures.